In case you haven’t noticed, bright colors are all over the place this spring. If your specs are looking a little drab these days, you might want to check out Dolabany Eyewear’s latest Eye Candy collection. 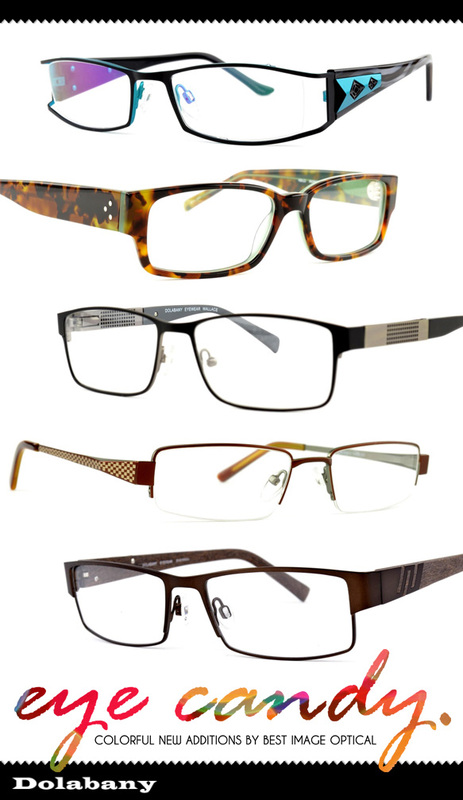 Dolabany nailed the colorful trend with 12 new frames that use a range of hues including red, yellow, green and blue. Men will enjoy these strong shapes and complementary color combos to help show off their spring wardrobe. Meanwhile, the ladies will fall head over heels for the color rush in these feminine shapes, from round to retro to cat-eyes, there’s no shortage of style.